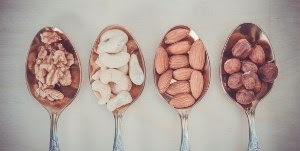 Nuts contain protein which help strengthen and protect your teeth. Also, chewing helps to stimulate saliva production, which naturally cleans your mouth. Remember: Not only is a balanced, nutritious diet essential to healthy living, your eating patterns and food choices play an important role in preventing tooth decay and gum disease. You may eat with your eyes first, but your mouth, teeth, and gums are more than just tools for eating.